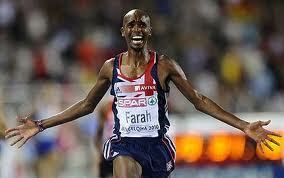 Jessica Ennis and Mo Farah have been named as the British Athletics Writers’ Association athletes of the year for 2010. Ennis, winner of the heptathlon title at the European championships in Barcelona in July, was the unanimous choice among BAWA members for the women’s award for the second consecutive year. Farah, who previously won the BAWA prize in 2006, had a closer contest with hurdler Dai Greene to claim the honour this time around. 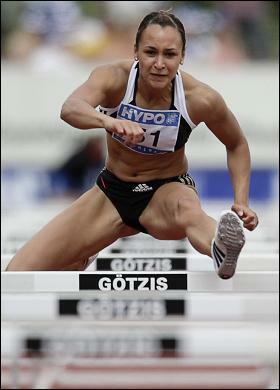 Greene won the 400 metres hurdles titles at the Europeans, Commonwealth Games and also at the Continental Cup, what used to be the World Cup. For the athletics writers, Farah’s historic 5,000-10,000 metres double held sway, making him the only male distance runner to have won the BAWA award since Brendan Foster in 1976. Ennis, the 2009 SJA Sportswoman of the Year and a leading contender for the 2010 award next week, ended the year again as the world’s No1 heptathlete and rightly regarded as the best all-round woman athlete in the world, having also won the pentathlon at the world indoor championships in March. “It’s so nice to have had the votes and won again,” Ennis said. “Last year was brilliant but you always kind of worry, ‘Are you going to perform as well the next year? Make the most of it here and now’. But yes, I’ve had another great year and to win this award again, it’s brilliant. “Having a good year in 2009 and backing it up with another good year, winning gold in the world indoors and the European outdoors, was really special. As well as his European double victory – a feat that had never before been managed by any Briton – Farah also broke Dave Moorcroft’s 28-year-old British 5,000m record. “I have been working very hard over the past five years and I would like to thank all the journalists who have followed my journey and supported me along the way,” Farah said. The BAWA junior women’s award has been won for the second successive year by world junior 100m champion Jodie Williams, of Herts Phoenix AC. The junior men’s award has gone to Jack Meredith of Liverpool Harriers, who won world junior bronze in the 110m hurdles. With no BAWA annual dinner in 2010, the Ron Pickering Memorial Award for Services to Athletics will be presented at a lunch, supported by the Virgin London Marathon, to be held in central London on January 14.